At the time, it seemed like an odd choice for an Oscar winner. Having just picked up an Academy Award for Best Actor for his role as grief-stricken janitor Lee Chandler in the excellent Manchester by the Sea, Casey Affleck’s next role saw him almost entirely hidden in bed linen. In David Lowery’s A Ghost Story, you barely see the award-winning actor. He spends most of the 92-minute running time covered in a huge white sheet, looming behind the unsuspecting Rooney Mara while, in one now infamous scene, she eats an enormous pie. 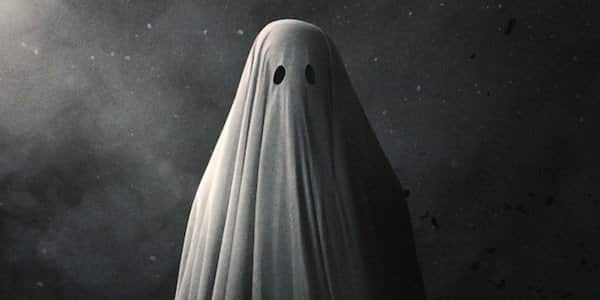 Affleck is strangely mesmeric as a sad ghost in designer Annell Brodeur’s costume (it’s much more than just a bedsheet: Affleck was required to wear a foam helmet, face mask, and a wire frame) and now this striking look has been adopted by Ikea in their latest campaign. The new ad from Ikea, Ghosts, starts with a series of spooky spectres that look uncannily like Affleck’s character from A Ghost Story. As they float unhappily around their dreary house, a party of brightly-coloured ghosts arrive on the doorstep – think A Ghost Story directed by Wes Anderson – and promptly enliven proceedings. When the homeowners return, though, they return to their original state – throws, rugs and blankets – brightening up the living room. It’s a nice idea about the power of colour and the imagery used is pretty striking. Whether you get on board with the ad, though, depends on a couple of factors. Firstly, while the basic premise is sound the execution isn’t consistent. It’s only the brightly-coloured ghosts that end up becoming rugs and throwovers, not the white ghosts we meet first. Surely it would have made more sense for the white ghosts to be formed from the home’s plain design – from boring sheets, blankets and rugs? At the end of the ad they simply disappear. Secondly – and this is a more personal view – how would you feel about your home furnishings turning into ghosts the second you weren’t looking? Not everyone we asked was comfortable with the notion that their home was full of undead spirits! There’s also the issue of the Hollywood inspiration. If you have not seen David Lowery’s meditation on life, love and loss then this may seem like a fun and striking ad. If you have, though (and you should, as it’s a great piece of work), Ikea seem to have lifted the design of their video directly from A Ghost Story, even if the outcome of the TV short ends up being rather different to Casey Affleck’s fate.